The Boston Uprising are in talks with the Hangzhou Spark for Flex-DPS player Cai “Krystal” Shilong, after a failed attempt to trade for Los Angeles Valiant duo Pan-Seung “Fate” Koo & Kyle “KSF” Frandanisa. Sources have advised that the Boston Uprising have turned their attention to Krystal and are looking to acquire him via trade to bolster their DPS core. After three successful seasons Chinese Contenders with team T1W, winning season three and a second place finish in last years Overwatch World Cup with China. 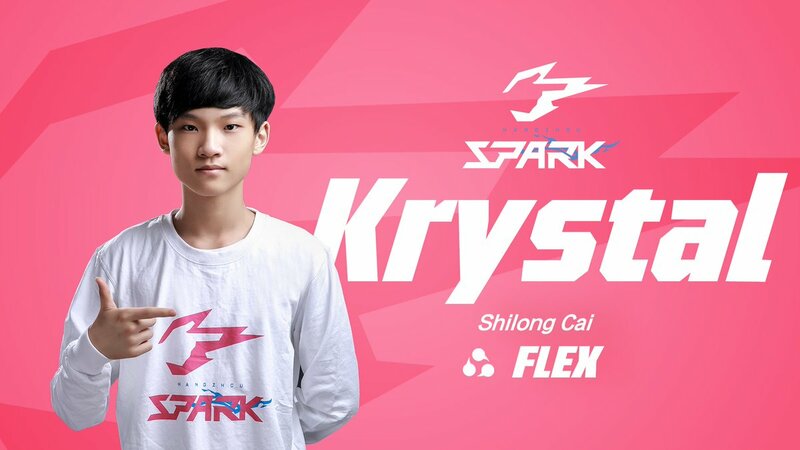 Krystal signed with the Hangzhou Spark during the off-season with the ambition to be a part of their starting roster, choosing them over the Guangzhou Charge. However, the season didn’t start off well for him when he received a one match ban for boosting prior to joining the Spark and then went on to not play a map for the Spark during stage one of the season. With only two DPS players in Jeffery “Blasé” Tsang Kelsey “Colourhex” Birse, The Uprising are currently in the market for one further DPS player who would be able to cover both hit-scan and projectile heroes. Krystal who has a deep hero pool, would be able to fit that role with his ability to play the likes of Genji, McCree, Tracer and Pharah to name a few. Despite the Uprising having an international roster and there being some potential communication issues with Krystal’s level of English. It would be highly likely that Krystal would become the focal point of the Uprisings attack, with Blasé and Colourhex being the players to support around him.